Chong Lee Nursery Sdn Bhd formally known as Chong Lee Nusery, was established in year 1992. We have been active as a well known nursery grower for more then 15 years. With our 15 years of experience, we committed to growing the highest quality species of plants. With the rapid grow of our business, we expense of setting up a plant tissue culture laboratory with skilled personnel and is labor intensive. Our garden fully stocked of variety of nursery. Among them are Indoor Plants, Palm, Trees and New Species. Our goal is to be the recognized leader in providing premium quality nursery in Malaysia that striving for the highest standard of integrity customer service and introduce more new species for the market. Chong Lee Nursery Sdn Bhd was established in year 1992 by Mr Tee Tiam Heng. With the 15 years of experience, we committed to growing the highest quality species of plants and we prove of it, We successfully prove that we are a quality and best supplier. Chong Lee Nursery Sdn Bhd currently have 40 employees, that formed of 30% local and 70% foreign workers. All of them are well trained and skilled for managing the nursery with the areas of 20 acres that fully stocked with 500 kind of variety nursery. 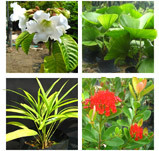 We produce a very wide range of healthy and quality species plants for the market. All the species supply for the market must fulfill the customer's requirement with premium quality. 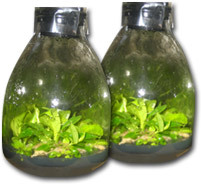 We always try to introduce variety of new species through our Plant Tissue Culture. fulfill the standard of measurement. 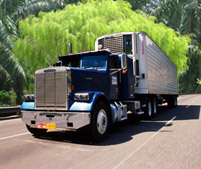 Please feel free to contact us for transportation and delivery.